Chasin' Mason: [Five on Friday] This and That. [Five on Friday] This and That. Hello Friday!!! I've been waiting for you all week. It is Friday, isn't it? Goodness I was confused yesterday and thought it was Monday again after working last week Monday - Saturday and then again Sunday - Tuesday with a random Wednesday off in the middle for a funeral and back to work yesterday. It's been a whirlwind! I feel like I've had a Friday Favorites type post in the works for a while, like I have TONS of random to share, yet all of a sudden, I can't think of anything. I really need to start a list. I'm old. Yes, you read that right. 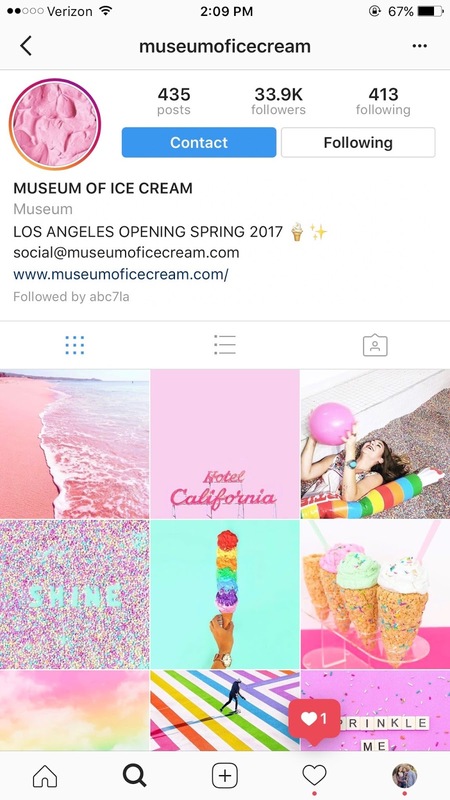 A WHOLE museum dedicated to ICE CREAM! Sadly it's only in LA for a short time and they only have a certain amount of tickets a day so I'm not sure if I will get to check it out, but their Instagram makes it look epic. I mean, there's a pool full of SPRINKLES! In my Instagram browsing the other day, I found this account. I mean, how perfect, right?! I've been debating posting, but most of the pictures are JUST the post office and I like Mason to be in the picture and also, I don't necessarily want to post the city I live in. Maybe I'll hit up a local city's post office and then post it for them to add! We're moving in about a month (long story, not sure if I'll share it on the blog or not, but same city, different place) and when we were looking at places, we saw this on the wall at once of them. I secretly loved it, but didn't say anything about it, and apparently so did Seth because he took a picture! I thought maybe it was from Pottery Barn, but I looked on the website and didn't see anything like it. Does anyone know where I could get something like this? Or maybe a little smaller? My boss told me about this news story that she saw and then I saw them post about it on Instagram as well. This boy has autism and is an entrepreneur. 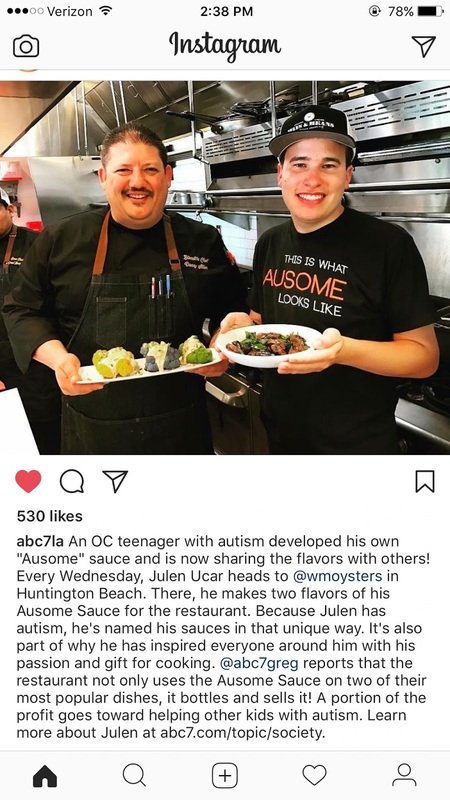 He makes his own sauce that he called Ausome Sauce (autism/awesome combined). He has a passion for cooking and actually has a local restaurant sell and USE his sauce at the restaurant. Seriously such an inspiring story. There really is no limit to what you can do when you put your mind to it. 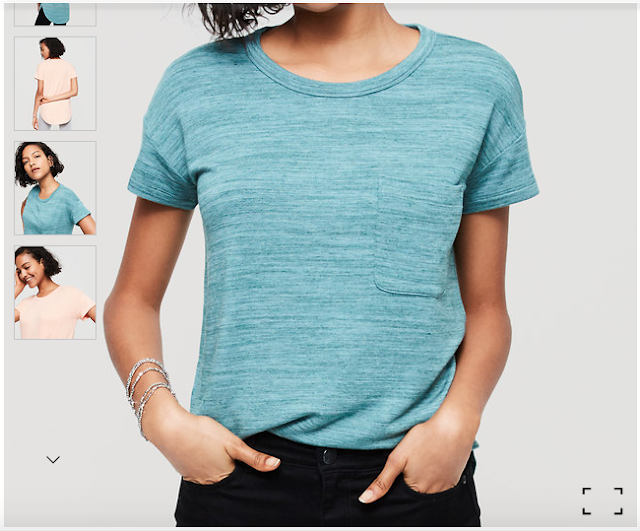 I got this Loft shirt the other day (in two colors because I loved it so much!) and had to share. I don't know if you've ever tried the Lou and Grey line at Loft, but it is amazing. I'm obsessed. The shirts are seriously SO soft and so comfortable, but are also sadly so expensive. I happened to be coerced (they didn't have to try very hard lol) by my sister in law, mother in law, and niece the other day to tag along with them and go to Loft when they were having a sale. Lou and Grey is rarely on sale, but I happened to get lucky and pick a shirt that was a part of the sale. They had this green color in my size in store (50% off!) and then I was able to order a ship-to-home of the gray color and get the sale price AND free shipping! #winning . I've been wearing them non stop since the gray one has come... at least once a week (sometimes more if I do a mid-week load of laundry)! You need into that museum! 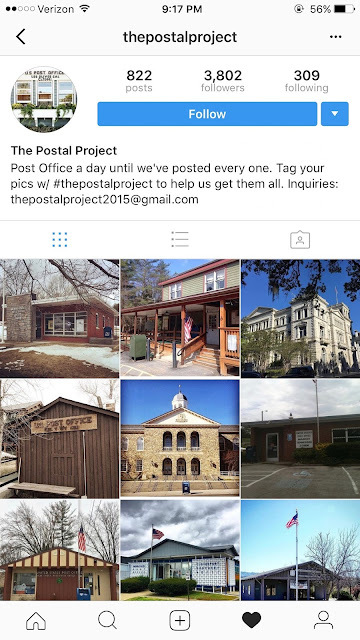 And you pretty much have your own postal project going. I say plan a road trip and hit as many post offices as possible! That tee looks amazing! I totally want the Iowa thing they have hooked on that wall! I have always felt drawn to photographing post offices. That is so cool that there is an instagram for it! Now I wish I'd done it all the times I thought about it. I need to go to the Ice Cream museum! That key chain hook thing is very cool. You could probably make it yourself! Oooh I love a good, soft t-shirt. May have to check those out! Also you guys should make that hook board! You could probably get the wood, stain it and then find the hooks somewhere :) Good luck with moving! If you want to go to that museum book tickets asap because they sold out in NY by the time that I got interested in going. I wish I had been able to go now! So, you should definitely check it out and tell all of us about it! I want to hear more about your moving! :) Bring it to the bloggg! I want soft shirts and ice cream musuems! I feel like the ice cream museum was in NY and I saw it on somebody's blog. 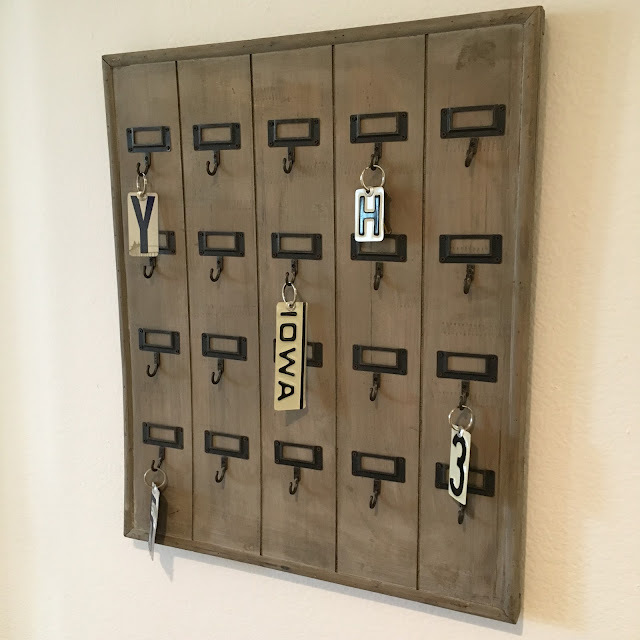 http://www.remodelaholic.com/diy-wall-mounted-wooden-hotel-key-rack/?m - would be even easier if you used one of those premade wood plaque things from Michaels. That key hook board is SO cute! Good luck with the move friend. I hope it is a happy thing for your family. Oh and the ice cream museum. I thought that only existed in my dreams. Wait. Did I not tell you? We're GOING to the Museum of Ice Cream! I've been following (STALKING) their account after I saw one of the news stations cover it. The ticket selections were SO limited. BUT, they've added another month to their stay. You HAVE to go!! That key hook board! The first thing I saw was IOWA, so naturally I love it. ;) I wonder if that's not something someone made rather than bought? Also. THOSE POs!! Oh my gosh! Each time you travel you should at least check out the city's PO. I know the one in our town is on the national historical registry! I'm interested to hear about your moving situation- did you find a house? I love that key hook! If you find anything out about it, please let me know. Moving?! That is exciting! Did you guys find a house? CURRENTLY + a $50 PayPal Cash Giveaway!